Dinosaur World is located in Glen Rose, TX, near Dinosaur Valley State Park (but completely separate). 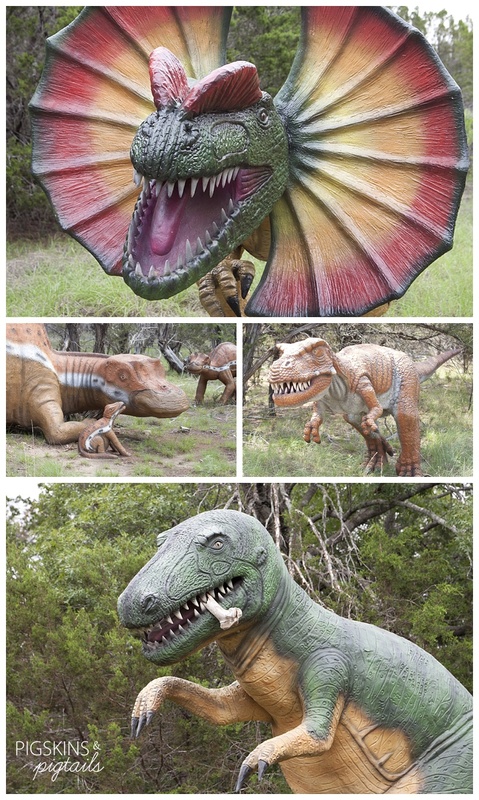 You wander through a paved trail and see over 100 life-size dinosaurs. In addition to the walking trail, there are a couple of activities for kids. They have large sand pit where you can uncover dinosaur bones by brushing/digging in the sand. There was also a Fossil Dig where you can pan for fossils. The kids pick their 3 favorite to take home. Walking through the park and doing the fossil dig took less than 2 hours. There are several other parks in the area that we plan to visit next time we are in Glen Rose, TX.